Before Romeo: A Visit With "Juliet's Nurse"
Lois Leveen walks us into 14th-century Verona in "Juliet's Nurse." The title characters are the big timbers in Shakespeare's "Romeo and Juliet". But there are other characters who act like the glue binding the play together. 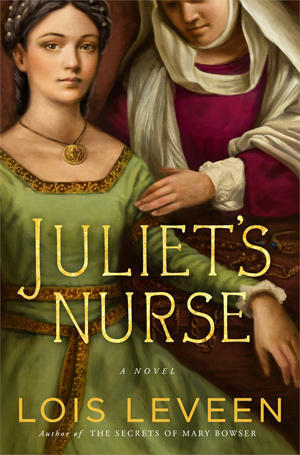 Those include Juliet's nurse, the main character in the novel called, fittingly, Juliet's Nurse. Portlander Lois Leveen is the author of this look at one of the legendary settings of Shakespeare from a different angle. Lois joins us in studio to talk about her work and the larger context of Shakespeare. David Humphrey and David McCandless discuss Shakespeare's enduring legacy. For a guy who died nearly 400 years ago, William Shakespeare has some serious staying power. Southern Oregon University just expanded its Shakespeare focus with the creation of the ShakespeareAmerica Institute. Now that institute and the Oregon Shakespeare Festival are joining forces for a symposium called "Much Ado About Shakespeare In Contemporary America," coming May 2nd. Barry Kraft exults in Shakespeare's words... especially the insults. Did we mention February is big for Shakespeare in Ashland? We could not resist an interview with the creator of the clever book Shakespeare Insult Generator. Think of it as “Mad Libs” for insults, using lines and words from Shakespeare plays.